Price: Rs. 300 on Amazon. I heard of this book first on another blog. The reader had given the book a five star rating and I was intrigued. The blurb looked really interesting and I wanted to read it almost immediately but forgot about it later. After a few months, it came to my mind again and I made the purchase and started reading it. The Malcolm's are a near perfect family, but one day everything is left shattered. Ted and Jenny Malcolm are both doctors and busy parents to twin boys Ed and Theo, a daughter Naomi and a pet dog Bertie. While they think they are a perfect and a happy family with loving and independent children, fifteen year old Naomi disappears one day after her school play. When Jenny sends her off with a deadline of 11.30 pm, she doesn't know that she was seeing her daughter for the last time then. Days pass and there is no clue of Naomi. Soon, Jenny starts discovering truths about her little daughter and wonders if she even knew this person. Naomi had been lying to her constantly and Jenny realizes that she has missed the obvious. A year later, Naomi is still missing and Jenny has still not given up. As she tries to figure out clue after clue, her family shatters around her. Was this the family she knew so well? Was this the family she was so proud about? 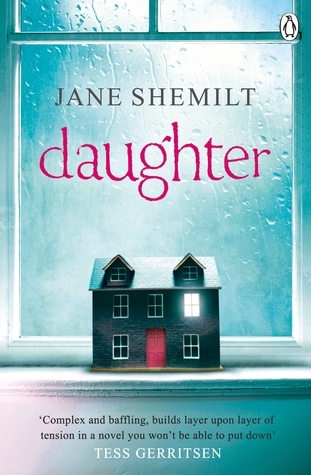 This is Jane Shemilt's debut book and it is a heartfelt tale of a mother dealing with the loss of her daughter and the secrets around her disappearance. Being a successful GP, she deals with adolescents almost daily and understands their pattern. She puts Naomi in the same bucket and assumes that everything is normal. In her control. When each day past the disappearance brings out a new secret of Naomi, Jenny is shocked. Yet, she braves it all. She gives all that she has in finding what happened to her daughter, losing everything and everyone else in the bargain. Jenny is a doctor, but after Naomi's disappearance she becomes a mother. Only a mother. Like most working women/mothers, Jenny too is driven by guilt about not spending much time with her children and missing on their growing up years. I'm not a parent but as a woman who loves her job and is really ambitious, I could feel for her. This is mainly her story. The story of her love for her children and a story of loss and coping up with it. The story moves from the past to the present and back to the past revealing tiny but significant details about the Malcolm family members. The mystery picks up only during the last quarter of the book. The initial chapters build a strong base and then explain the back story. This writing about a woman dealing with anguish and the trouble in her paradise reminded me so much of Danielle Steel. Even the writing style matches in most of the places. The author takes time to give life to all the characters and brings them all together beautifully. Once the main piece of the mystery falls in place, I could predict the rest of the story. While the ending was as I expected it to be, the path to it was totally unexpected and strange. In a story with a handful of characters, the sudden significance of a bleak character took me aback. Had the mystery been rooted deep and been personal, it would have elevated the book to another level. While the truth is revealed in the last page, the path to it is well written. While the climax breaks something inside you, the book leaves you thinking of it long after you have finished it. I wasn't too sure if I liked the book once I finished it. After living with the story for a few days, I realized its brilliance. While the book is more drama than mystery, each make way for one another beautifully. There is nothing complex about the story. It is about a mother mourning the loss of her daughter. The emotions and psyche involved is what makes it complex. In a good way, naturally. Verdict: Read it. It is totally worth it. The story seems intriguing, but then, you mentioned Danielle Steel - I don't enjoy her stories and writing style. The only book I liked by DS was Legacy. I love Danielle Steel, that's why I was able to get past this. Stay away if it is not your cup of tea. This sounds interesting. A well- written book about a mother and daughter should be a good read. It definitely is worth a read Tulika. Sounds like the perfect book that I'd enjoy reading. Putting it on my TBR list. Thanks for the review, Soumya. Let me know how you like it once you do read it. Oh wow a four star. Sowmya will surely read this. All the best! Let me know what you think. It kinda reminded me of how I felt while reading the Lovely Bones. Although there was no mystery in it. Very well reviewed. I have no idea why I'm still reading book reviews when I can't get myself to read a book in the first place. But compliments about a book ...that too from you, doesn't come easy. So maybe will add it to my TBR list. Maybe your goal for 2017 should be to read more. Plan a BINGO or something, might help. Do read it, you might like it.